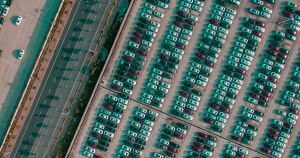 Even if overall car sales increase in 2019, ICE sales would likely fall thanks to the continued adoption of electric vehicles (EVs). This might not be what ICEcar manufacturers want to hear, but it’s excellent news for the environment. According to energy research group Wood Mackenzie, a mid-sized EV produces 67 percent fewer greenhouse gas emissions than a comparable gasoline-powered ICE vehicle. That figure doesn’t just take into account the emissions produced while the car is in use, either — it includes emissions caused by everything from electricity generation to crude oil refinement. In 2016, transportation was the primary source of greenhouse gas emissions in the U.S., so if EVs continue to replace ICE cars in this nation and others, the world could significantly cut down on the climate-destroying emissions emanating from its roadways.